Christmas Day Luck aboard Fire Hatt with our crew of Brett Lazenby from Kona and Rob Dawson from Kamloops, BC brings a day of good fishing action to Scott Watts from Oahu. The day started out with a triple hookup on Mahi Mahi with two of them escaping and Scott landing one. The Mahi ranged from 15 to 18 pounds. 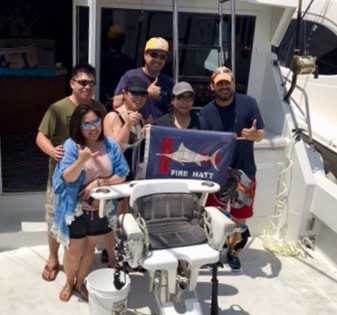 A short time later we headed to OTEC Buoy and hooked a nice 30+ pound Short Bill Spearfish. Scott Watts landed the trophy in a matter of minutes. 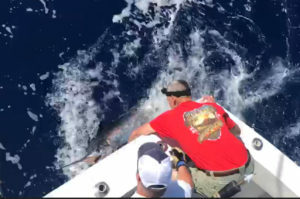 Winner Of Rotary Club Donation Scores Blue Marlin In Kona Hawaii. 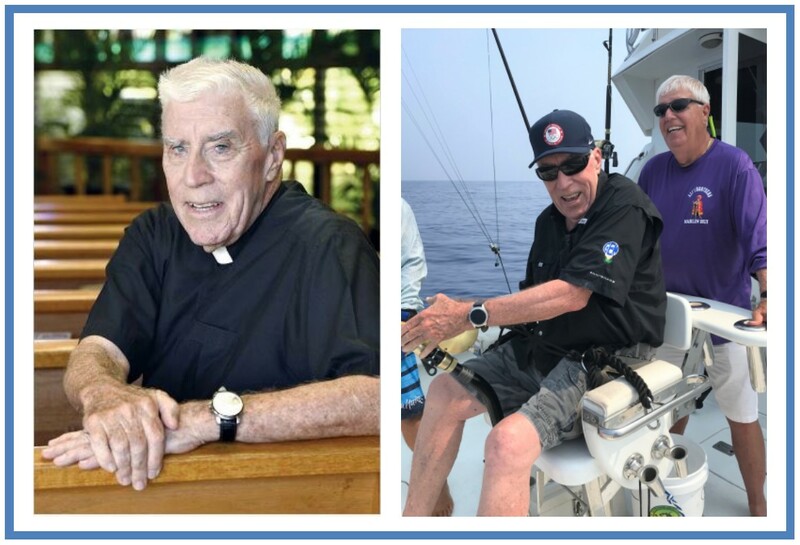 Thanks to the Rotary Club Fundraiser that Fire Hatt Sportfishing and Harry Avila generously donated to, Steve and Carolyn Springer Won the bid for the Sportfishing Trip and Accommodations here in Kona Hawaii. 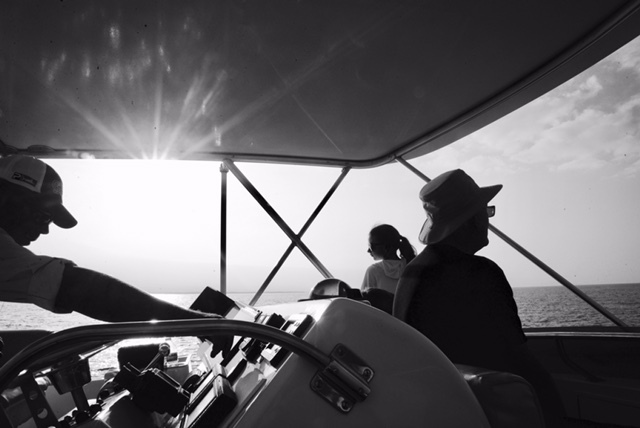 I had the privilege of being on the boat with this lovely couple and their friends today. This group is from Fremont California and were a delight to spend the day with. 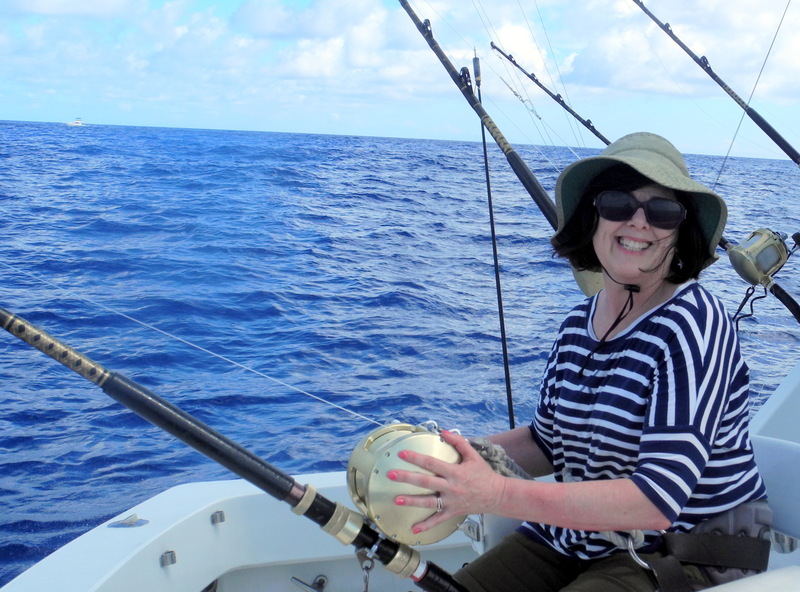 Carolyn was the first angler for the day and landed her estimated 175 pound Pacific Blue Marlin. 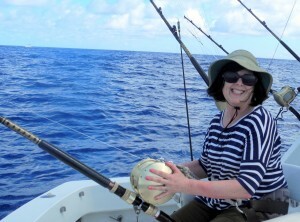 Her first Marlin! She did an awesome job bringing it in in just under 10 minutes. Later in the day we hooked up again and had a shot at another Blue Marlin that did not stick. Featured in the photo left is Carolyn Springer in the fighting chair! Striped Marlin for Illinois Folks aboard Fire Hatt. I was just talking to an old friend, Rob Webster from from Southern CA this morning who has the boat Magellan while reminiscing about our legendary Striped Marlin days. We have not seen a Stripey here in Kona for a while. 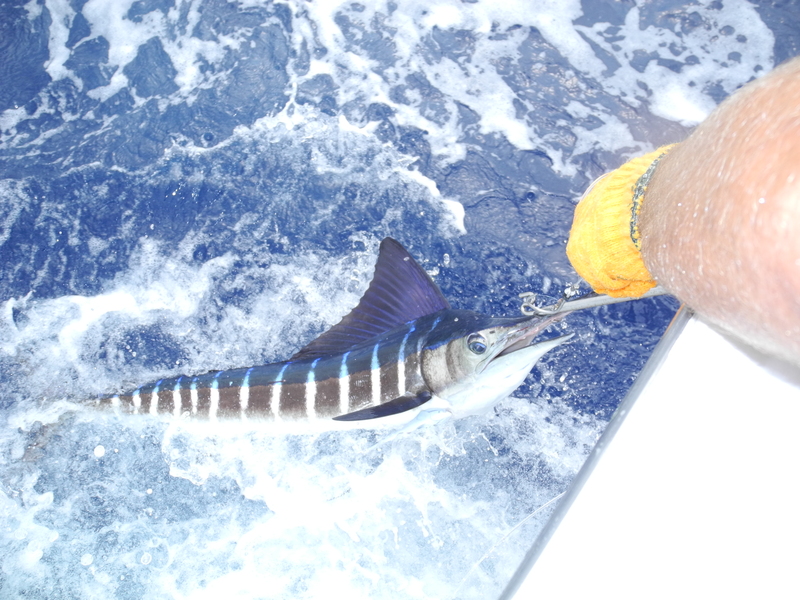 Rob was saying that rumor has it, a Striped Marlin was just hung in Dana Point, CA over the weekend. Then low and behold, just an hour after my conversation with Rob, our stinger line is bit. We are hooked up! 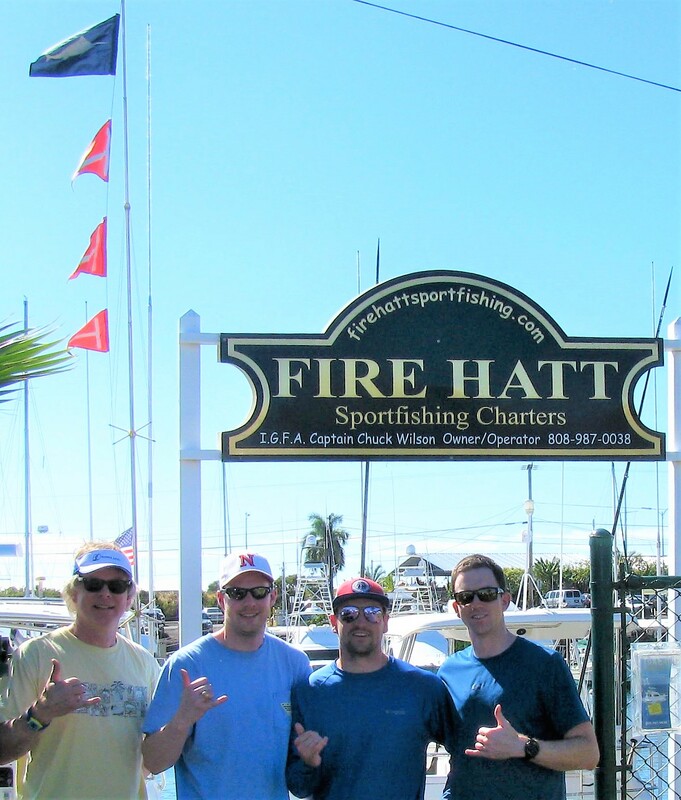 Dave Schafer from Newton, IL on a full day charter aboard Fire Hatt with Captain Joe Schumaker and First Mate Brett Lazenby brings in his first Marlin. 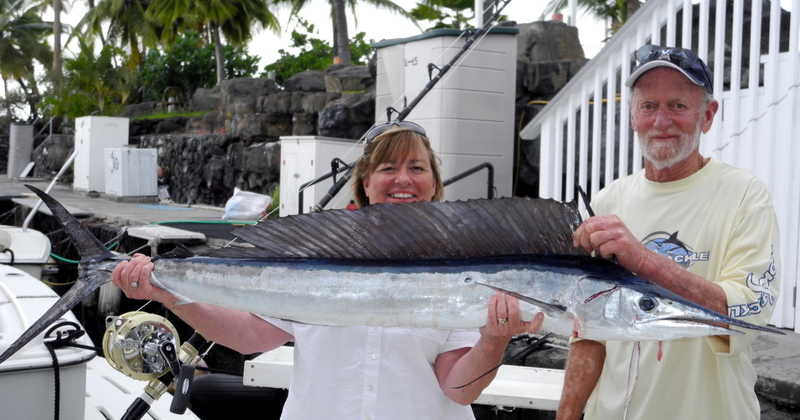 Previously Dave’s largest fish was a Sailfish. Still time for the elusive Ahi Tuna today! 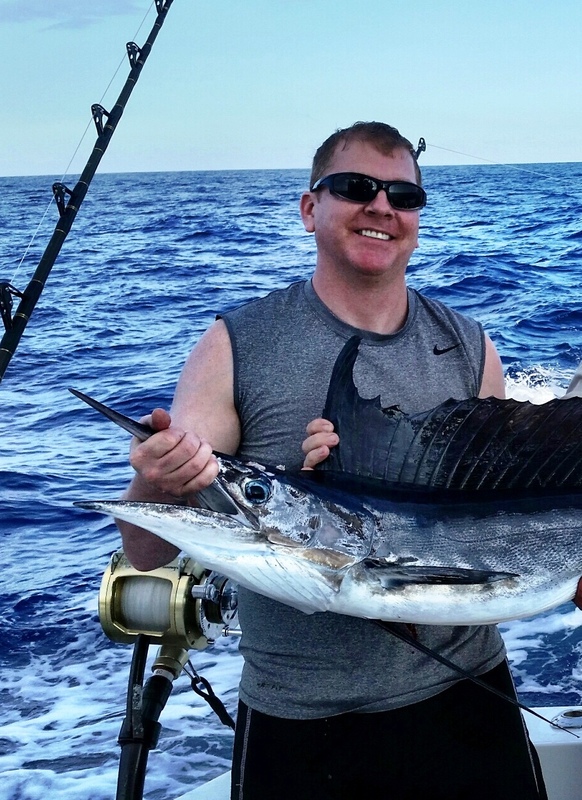 Peak fishing time in Kona, Hawaii right now!